For a fresh take on day to nightl style, look to the Cross Front Pant. 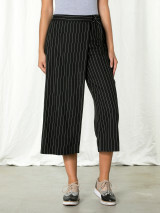 This pinstripe viscose and linen blend pant is elevated with a skirt panel layered over the front. 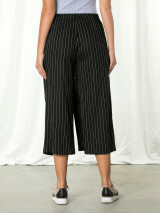 The 3/4 length pants are a regular fit and sit at the waist with a side tie detail. 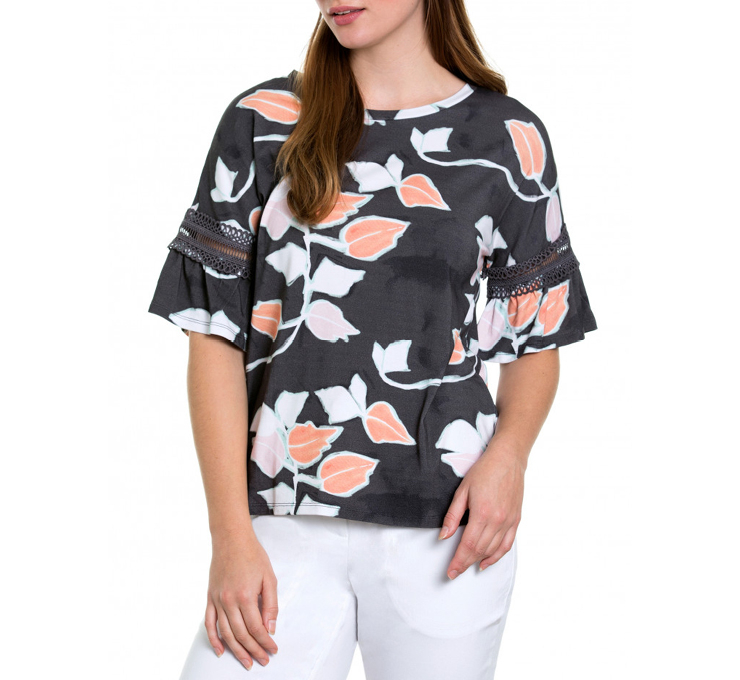 A slight flare at the cropped cuffs finish the chic silhouette. TBC. COLD HAND WASH SEPARATELY.